Yummy gluten-free baking and cooking adventures of a busy Colorado gal! 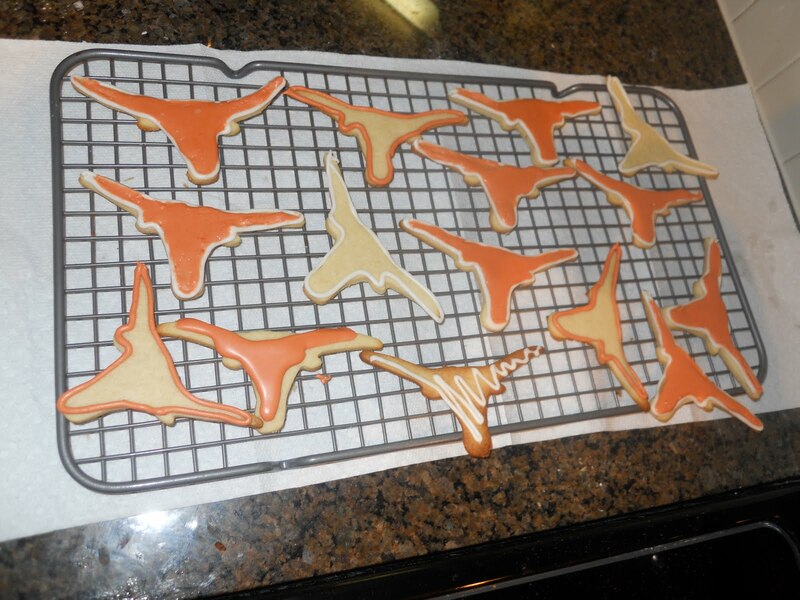 Last night my friend Alice came over for a big event- cookie making! Alice loves baking just as much as I do so it's always so fun to get together and make a new cupcake/cookie/muffin recipe! 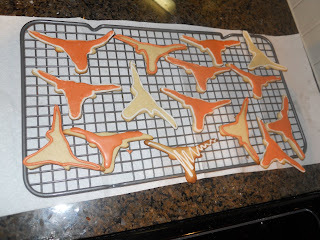 Since we are both UT alumni and still big fans- we had our little burnt-orange hearts set on making some Longhorn cookies! I was elated to discover I still had an (expired) rebate card for the Co-Op- that they graciously honored for me! I stocked up with a Longhorn cookie cutter, Texas cookbook (Can't wait to flip through this weekend! 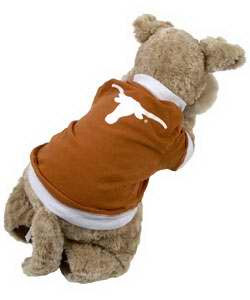 ), silicone Longhorn baking pan and an adorable teeny UT jersey for my parent's dog, Jackson. Let me just say that it was a LONG evening. First we got started making Fiesta Salad (Recipe coming soon!). We took a break to watch the premiere of the Office and then started whipping up cookie dough and icing. By the end of the night, a cloud of powdered sugar had settled over the kitchen and my feet were aching from standing bent over the counter with a bag of icing in my hand. But it was fun- really! We did get a couple quizzical looks from the boyfriend, who asked "Why are ya'll doing this?" haha Might I add that he did not complain when he was sampling. Preheat oven to 400. Sift together all dry ingredients into a mixing bowl. Cut in butter until mixture is blended and looks like well-blended particles (I sliced the butter into pieces, added to flour mixture and blended with paddle attachment ). 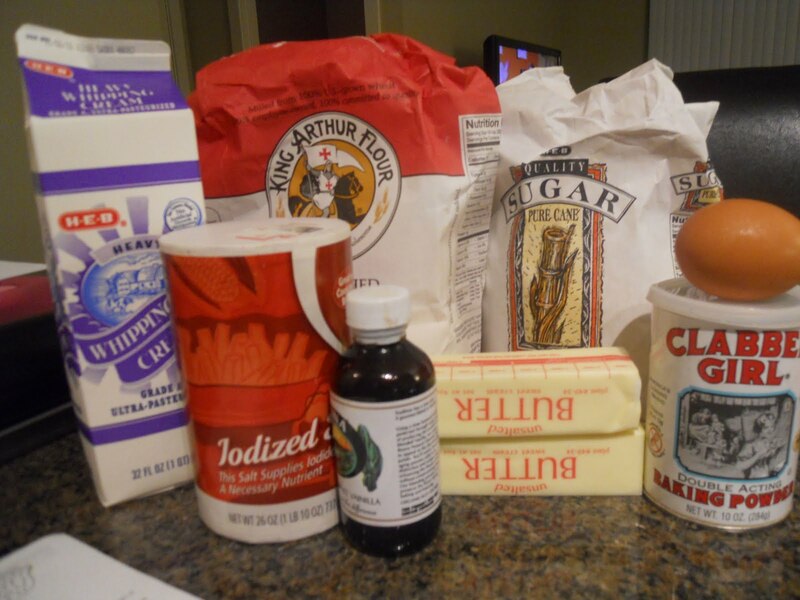 Add egg, cream and vanilla, beating until smooth and dough comes together. 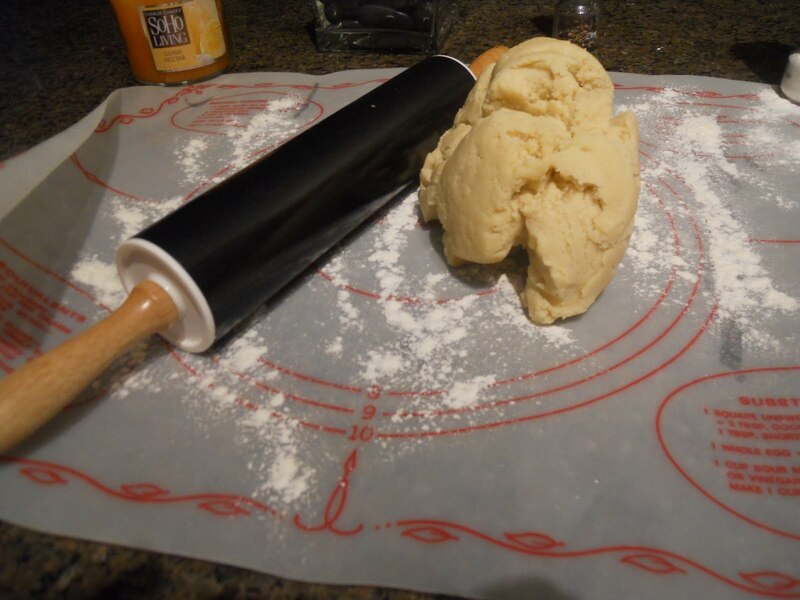 Divide dough into 2 balls and put 1 in the fridge to chill. Use this dough once the first ball gets too soft/warm from squishing scraps back together. Roll out on a lightly floured surface until pretty thin (1/8"). And go to town with your cookie cutter! Place on a baking sheet lined with a silicone mat/parchment paper. Place tray in fridge/freezer for about 5 minutes. Place cold tray directly in hot oven. This will keep the dough from spreading and losing its shape! (Thanks Mrs. Humble for this tip!) Cook 5-8 minutes or until lightly browned or appear firm. 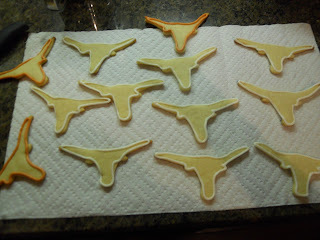 We had some trouble with our horns getting crispy at first, so we only did about 5 minutes. 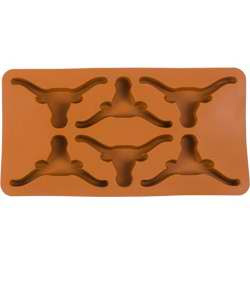 Cool completely on wire rack and you're ready to ice! Mix in bowl until smooth. Icing will be very thick. If you pull your spoon out, it should leave a stiff peak that does not immediately sink back into the icing. Divide into bowls to add food coloring, if desired. Transfer to icing bags/decorating bottles. 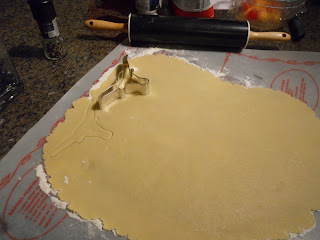 Pipe a very thin border around your cookies or whatever design you want to make. The outlines need to dry for about 10 minutes before you fill them in, so keep outlining as many cool cookies as you can get your hands on. 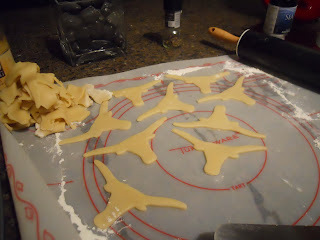 After you've done all the outlines you can thin your icing with a tiny bit of water (add only a few drops at a time). When you pull your spoon out and the peaks immediately sink back into the icing, you're ready to roll. 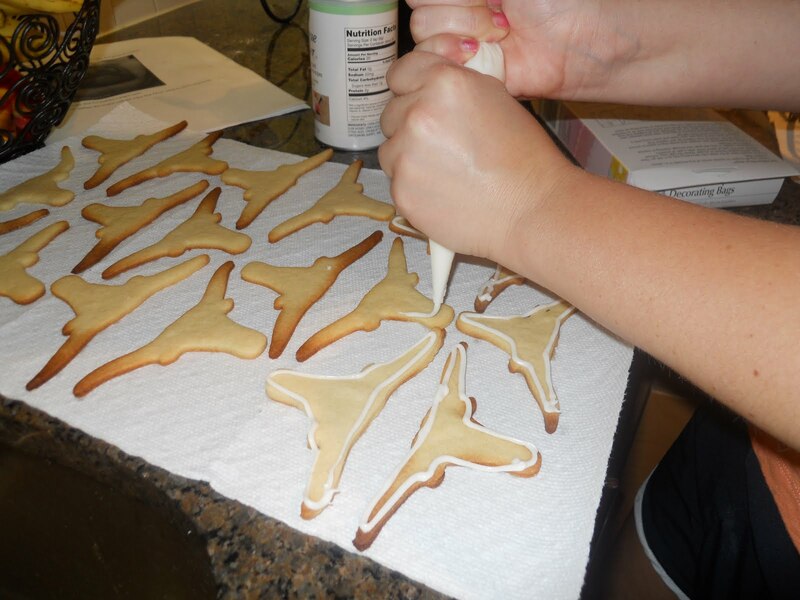 "Flood" the middle of your outline with the thinned icing. Go easy! Spread to the edges with a toothpick/skewer/whatever you have (I could only find a plastic knife). 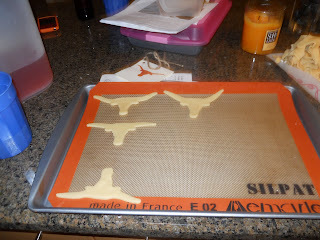 Let dry for several hours or they will squish when you try to stack them. I HATE having things sit out across all the kitchen counters, so it drove me crazy to leave these out overnight, but I just packed them up when I dropped Sonny off after our run this morning. I have to warn you this makes a LOT of cookies. I filled a whole container for work, Alice took a HEAPING plate home, I left a few for my roommate and I filled G's whole cookie jar! Next time probably best to freeze half the dough! 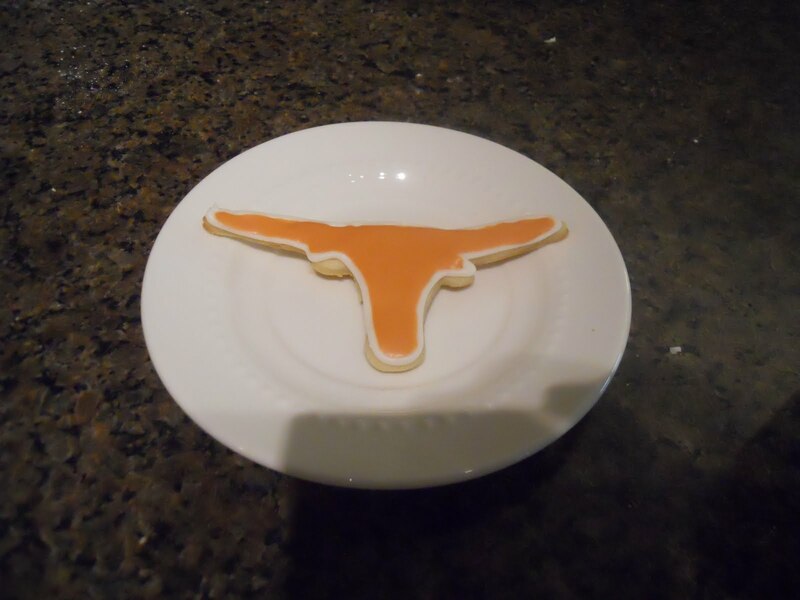 All in all- delicious and a great way to celebrate a UT victory this weekend (knock on wood- I don't want to jinx it or anything). Cookie was not as crunchy as it looked- nice surprise! tastes like cookie bouquet cookies! 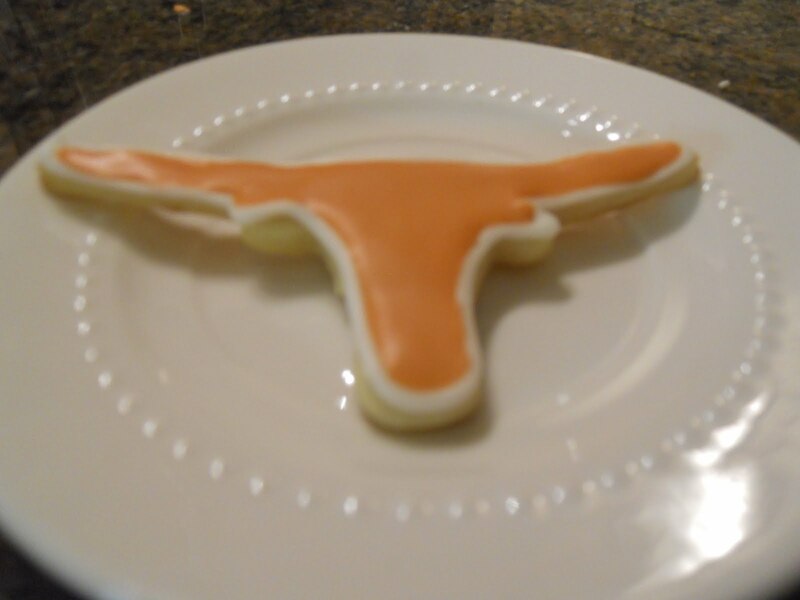 Let me bake for you! I'm now accepting orders for gluten-free baked goodies in the Boulder, CO area. Shoot me an email and we can discuss all the details. I'm just a twenty-something gal in Colorado who LOVES to bake and sometimes cook. I'm not a big fan of raisins, but everything I make is always gluten-free. Questions? Comments? Recipes to share? Just want to chat? Mini Dougnuts- Party in Your Mouth! Caramel Ice Cream- Take two! What's for dinner? Sticky Chicken! Gluten Free Pumpkin Spice S’more Candy Apples!